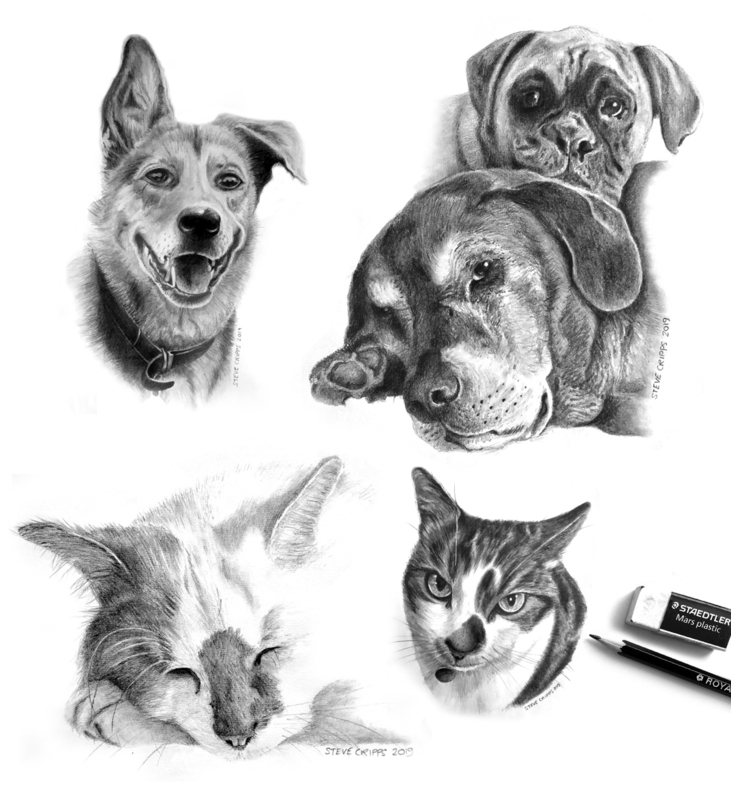 A4 size graphite pet pencil drawings of your pet from £80* sketched by graphic artist and designer Steve Cripps from his studio based in Tring, Hertfordshire. 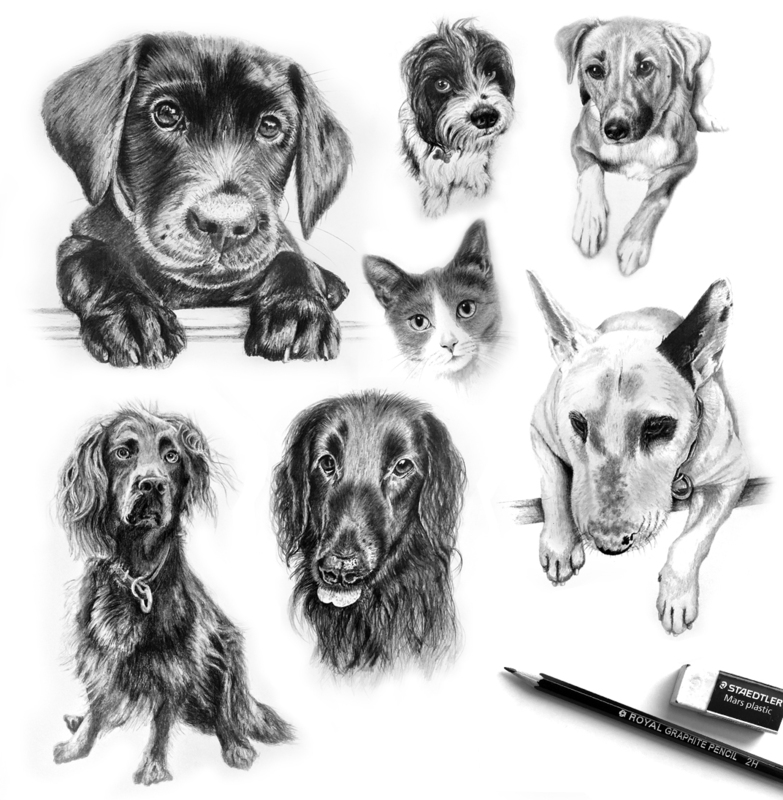 Quality graphite pencil pet portraits sketched from your pet photographs created by graphic artist and designer Steve Cripps from his studio based in Tring, Hertfordshire. *Please note prices do not include special delivery postage, packaging or insurance, add extra £8.00 (if required). Collection from the studio in Tring can also be arranged. 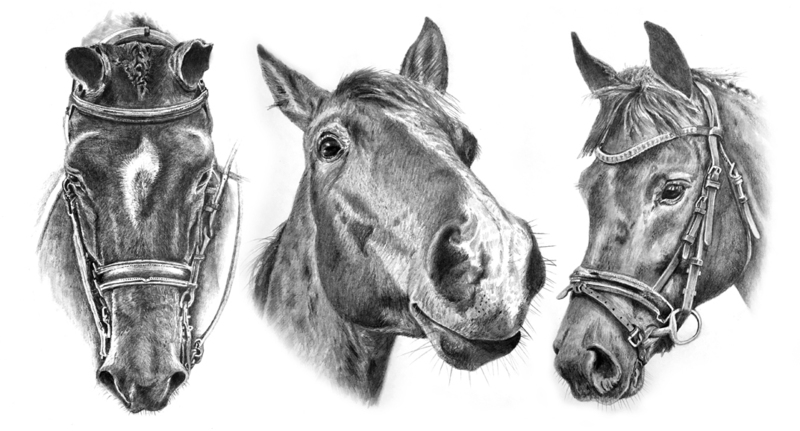 "I recently commissioned portraits of my two horses and am absolutely chuffed to bits with them. Steve's attention to detail is outstanding and he has not only drawn perfect likenesses he has managed to capture their personalities, no mean feat considering he has never met either of them! 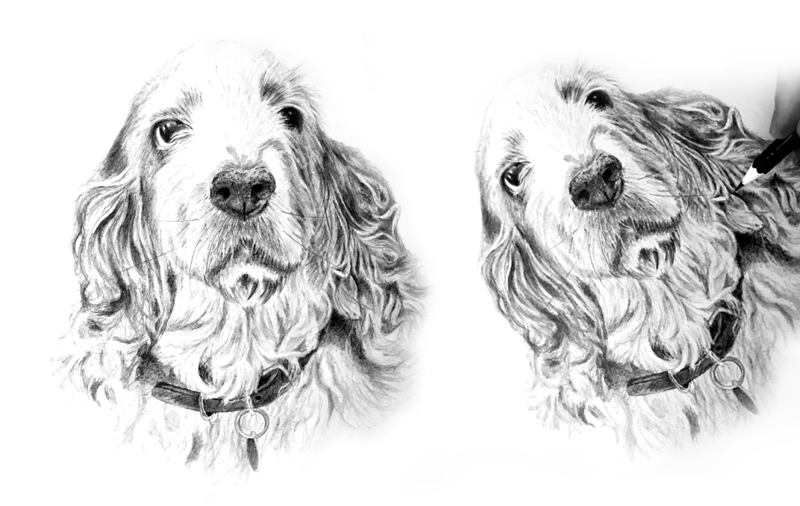 Highly recommend if you want a beautiful portrait of your best furry friend." 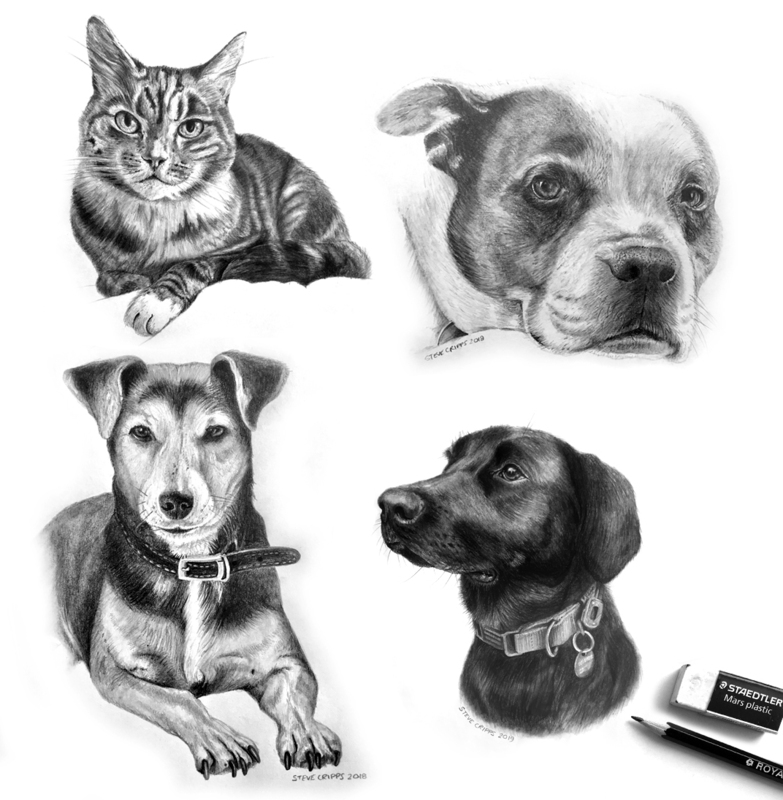 If you would like to commission me to create a pencil sketch of your pet, please get in touch via email below together with some good quality reference photographs of your pet. All drawings featured are © 2019 Steve Cripps and may not be reproduced without permission.